Hawaii has always been a very special place for my family and I. Since before I was able to walk the Hawaiian Islands have been like second home. Some of my fondest childhood memories are with my Gran and Gramps on Oahu, particularly with my Grampsie eating Guava cake! 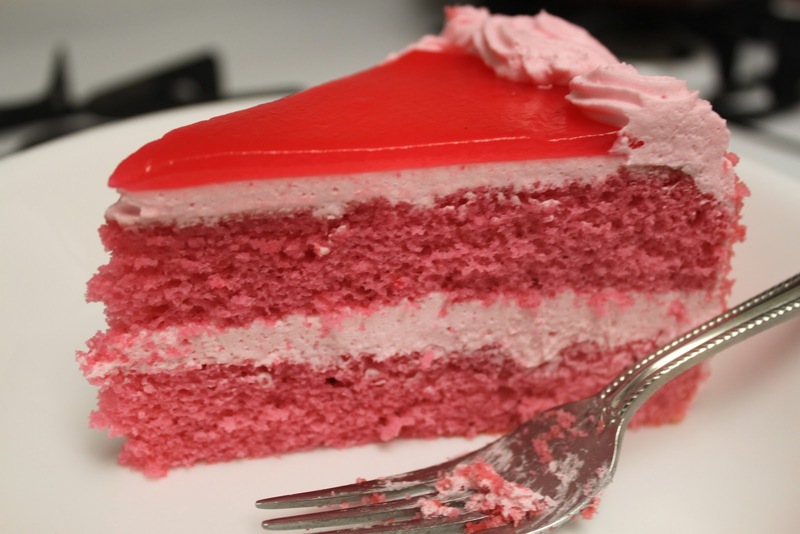 A light whipped cream frosting and Guava jelly top this delicate and delicious cake, and it's PINK! My Grampsie passed away from pancreatic cancer five years ago, from the time he was diagnosed to the day he passed away it was only six short weeks. 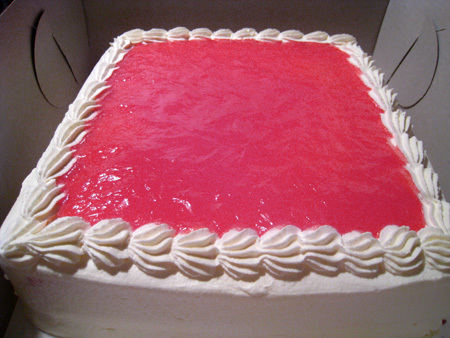 The one thing I tried to get him before he died was Guava cake from the Dee Lite Bakery on Oahu. I told them I would pay them anything, send a courier etc, but they refused to help. I'm a very determined person and rarely do I encounter a task that I am unable to accomplish. This remains one of my greatest defeats. I have not had this delicious cake in over five years! This week a dear friend came from Hawaii to visit and she hand carried a Guava cake from Dee Lite Bakery and SURPRISED me! Just short of getting engaged this has been one of the best surprises of my entire life! 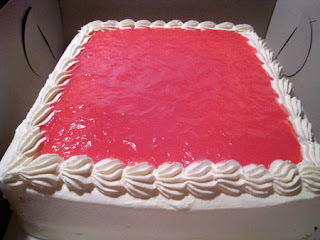 This cake is SO SO light and fluffy, made with Guava puree it is truly my FAVORITE cake & I'm not a cake person at ALL! this story broke my heart! shame on them for not helping you out...but good for you for keeping his memory an active part of your life. i hope this stays a tradition in your family somehow so you can always think of him! Thank you for your kind comment, it really means a lot :) I can't wait to follow your blog as well! This was SO INCREDIBLY kind and sweet! You just brought a very large smile to my face, I know we do not know one another but I already think you are wonderful!